Lexus announced today that its latest concept vehicle, the Lexus UX Concept, will make its world debut on September 29 at the 2016 Paris Motor Show. 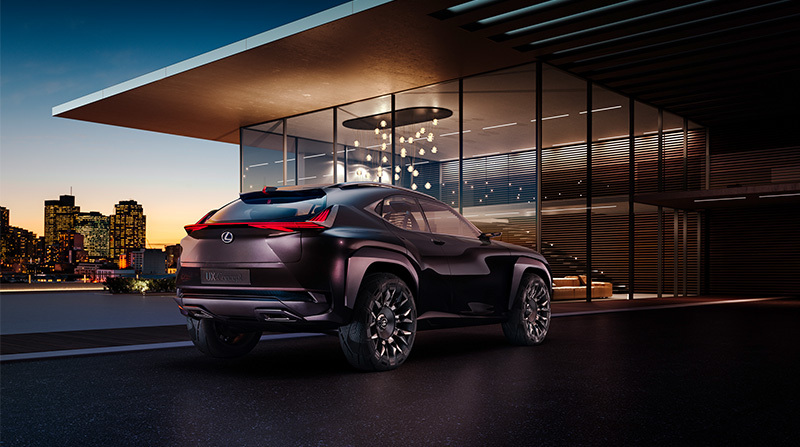 Created at Lexus' European Design Centre, ED2, the Lexus UX Concept takes Lexus' bold design language to the next level. Its strongly differentiated identity is meant to appeal to a progressive, urban audience living in a connected environment. The UX Concept also showcases imaginative technologies for an immersive driver experience, while the interior marries traditional craftsmanship with high-tech manufacturing techniques. Other highlights of Lexus at the 2016 Paris Motor Show will include the refreshed Lexus IS in European premiere, as well as the new Lexus NX Sport Edition and the brand’s new flagship coupe, the LC. The Lexus Press Conference will take place on September 29 at 13:30 pm at the Lexus stand in hall 4.